In today’s feature we take a look at pitcher Marcus Hatley whom the Chicago Cubs selected in the 39th round of the 2006 draft. Find out inside about Hatley’s recent rise through the Cubs organization as well as well as what he likes to do while he wait for his name to be called in the bullpen. Being selected in the MLB draft is no easy feat that should be scoffed at. However when you are drafted in late rounds of the drafts you tend to have an uphill climb to make it to the majors. Not only is their stiff competition at all levels of the minor leagues but often times players who are drafted high or are given a big bonus tend to get more opportunities and chances within the organization which selects them. Chasing MLB Dreams takes a look at Marcus Hatley, a late 39th round draft pick by the Chicago Cubs in 2006. Hatley has not only climbed the ladder to stick in the Cubs organization but he has also overcome injury and surgery. Entering the 2012 season, Hatley has put himself on the map as a future back of the bullpen candidate that Cubs fans could be seeing at Wrigley Field in the near future. 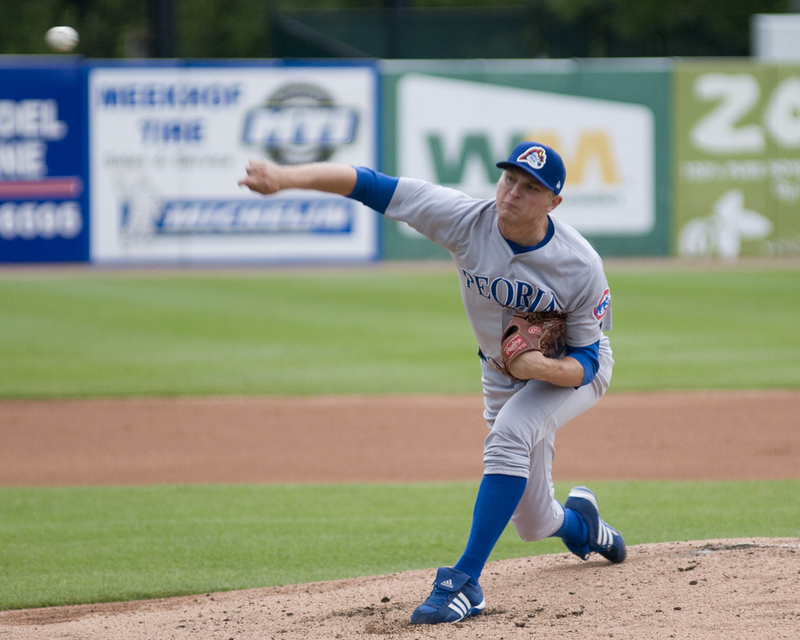 Even though he was drafted in 2006, Hatley did not get his first taste of professional action until the following season when the Cubs assigned him to their Arizona League team in mid July. Early on the Cubs used the right-handed pitcher both as a starter and a reliever. In his 13 appearances (6 as a starter) he totaled 37.2 innings pitched and went 1 and 3 with an ERA of 3.82. As the season came to an end Hatley was bumped up a level for the final week of the season. He appeared in 3 games for the Boise Hawks before the season came to a close. Hatley once again did not start out the 2008 season with one of the full season clubs. He stayed in extended spring training and worked on refining his game for a few months. Once the Hawks season started in the middle of June, Hatley was once again ready for action. As a member of the Hawks he was once again used in a split role. Appearing in 12 games (6 as a starter) he pitched in 34.2 inning and once again tallied a 1 win and 3 loss record. The right handers ERA however rose to 5.71 on the season. As the 2009 season was set to begin Hatley received some good news. He would be playing full season baseball for the first time in his professional career. The Cubs assigned him to the Peoria Chiefs of the Midwest League. Once again as in the two previous seasons the Cubs used Hatley as a swingman of sorts. Playing in a full season Hatley reached his highest innings pitched of his professional career as he amassed 95 innings. However on August 25 as the season was coming to a close, Hatley pitched 1/3 of an inning and surrendered one run while walking one batter before leaving the game with an arm injury. Hatley would not throw another pitch in 2009. For the season appeared in 30 total games with 16 of them coming as a starter. Hatley would finish with a 6-6 record and an ERA of 4.64. During the off-season Hatley was faced with surgery. After successful surgery, Hatley underwent a rigorous offseason rehab program, Hatley started throwing in Extended Spring Training games before pitching with both Boise and the AZL Cubs. Each of those stops was brief appearing in only two games for each club. He followed up those stops with a third stop back in Peoria where he had pitched during the previous season. He only appeared in seven games but to come back from injury and prove that he was healthy was a victory in itself. 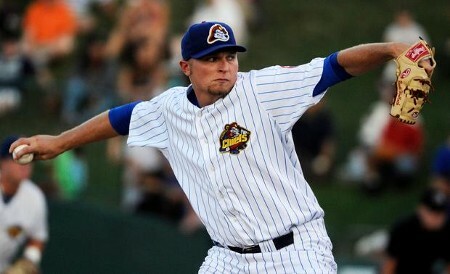 The 2011 season would prove to be a year of transition for Hatley, as the Cubs moved him permanently to the bullpen. In his new home and finally healthy Hatley rose quickly through the Cubs organization. Starting out back in Peoria he dominated and earned an early season promotion to the Daytona Cubs. He would not be in Daytona for long. He made 13 appearances out the Daytona bullpen, totaling 15.1 innings pitched. He posted a 1.76 era, striking out 19 batters and earning 4 saves. The Cubs made an aggressive move promoting the reliever yet another level by mid-season. Hatley would spend the final three months of the season with the Tennessee Smokies, the Cubs AA affiliate. Even though he was facing tougher competition than he had faced at the previous levels Hatley was given plenty of opportunities to perform. He appeared in a total of 33 games for the Smokies finishing the year 3-0 with 4 saves and an ERA of 4.66. For the season he closed out and earned 11 saves. Those would be the first 11 saves of his career but as he learns and becomes more refined to his role in the bullpen, saves are something that Cubs fans could start to get accustomed to from Hatley. After the season came to a close Hatley received some exciting news from the Cubs organization. The team announced that he was among a handful of young Cubs to be selected to play for the Mesa Solar Sox in the Arizona Fall League. The Solar Sox are composed of prospects assigned not only by the Cubs but also the Pirates, Orioles, White Sox, and Twins. Hatley would be playing with and against some of the best prospects in the game at all levels, including Gerrit Cole, the 2012 number one overall pick in the draft by the Pittsburgh Pirates. While Hatley’s number indicate he struggled in the fall league (1-3 9.88 ERA) the experience was invaluable. The pitcher was able to work on various aspects of his game and get a jump-start toward the 2012 season. Hatley is aiming on adding a split fingered pitch to his fastball / curveball combination he already uses in games. If this addition is successful in 2012 look for Hatley to keep climbing the ladder in the Cubs organization as he works hard to become a fixture in the Cubs bullpen for years to come. What was it like being drafted? What were you doing when you found out? Did you do anything to celebrate? So draft day was kind of a surprise to me as a high school senior I never really thought of that as an opportunity that would come my way honestly I was looking more of a place to go to college to further my education with the hopes of possibly making a team for wherever I went to school. I was actually at Six Flags theme park with my family when I had received a call from the area scout for the cubs and had told me I’d been drafted in the 39th round. It was such an amazing feeling that I would be given an opportunity to play professionally and what a greater way to celebrate than a day of fun with my family. Earlier in your pro career you had the opportunity to start some games. Lately you have been the one finishing them. What do you like about being the guy who shuts things down? My absolute favorite thing about coming out of the bullpen compared to starting was always having that opportunity of getting in the game. It’s a way to make sure I’m always focused on the game and really paying close attention to what the hitters are doing that day and what kind of approach they’re bringing to the series. It’s a way for me to really capitalize on the type of personality I have, I have this buildup of adrenaline all day and during the game and be able to release all of that energy to try to finish off what my teammates have done for the previous 8 innings. What pitches do you throw? Can you give the readers a bit of a scouting report on what you bring to the mound? Well this past year in 2011 I threw two pitches, my fastball and curveball. This current offseason im working on a split finger fastball to really be able to get the hitters off my fastball and essentially get them from sitting dead red fastball. I have a very aggressive approach as a relief pitcher, I like to work hard in and try to put guys away as quickly and efficiently as possible. I feel as though on any given day I can beat any hitter with my fastball so I always make a note to not get beat on my second best pitch which is my curveball so I really try to be aggressive with my fastball early till I get to two strikes and I try to put them away with my curveball or a well located fastball. Being in the Cubs organization for five seasons now – is there any particular coach or instructor that has been instrumental in your career development and why? Being a part of such a prestigious organization with so much history like the Cubs I’ve definitely found myself surrounded by such a knowledgeable coaching staff its easy to pick the brains and ask questions and converse with the many different coaches throughout the different levels and the coordinators. what I try to do is talk to all the coaches not just the pitching coaches but ask the hitting coaches what they would do in a certain situation or a base running coach what count they would run on, so I would have this information and try to analyze into how is this going to help me. I know what they’re trying to do in these different situations know I have to adjust when I find myself faced with these challenges. Every pitching coach has a different method of coaching some teach mechanics and others focus on approach. So now I take the certain things that make sense to me and I try to apply that into my pitching. It’s just a revolving door of information and were always trying to get better and the best way for me was all the different coaches that took on these different challenges and take little tidbits here and there. Over the span of your entire career in the Cubs system has there been one player who has been a nemesis of yours at the plate? To be honest I cant really say there is one player in particular that I would call a nemesis but more of a style of hitter. It’s always the really fast contact left-handers that wreak havoc on the base paths that can really ruin the makings of a good inning, because before you know it a steal and pass ball later they’re standing on third base waiting to be hit in by a sac-fly or anything of that sort and your on the mound saying how did you just go from first to third in a blink of an eye and those are the ones that really get my head spinning. The Cubs selected you to participate in the Arizona Fall League this season. What did that mean to you and what was your overall experience like? Well the AFL was such a great honor to be selected to represent my team in such an established league. It was a huge learning experience for me playing against all the top prospects from around the different leagues and just being able to meet these different players from other teams are the things I remember the most. its incredible to be able to watch some of these guys play it’s really there were plenty of times where im sitting in the dugout or out in the bullpen going did that just happen? so yah it was a great experience one that ill take with me for sure. Being in the Bullpen, there is some time to kill waiting for the phone to ring – You mentioned that you enjoy playing “Landmines” could tell the readers about this game? Haha so landmines is a game really hated by all who are on the receiving end. Everyone is sitting on the bench usually kind of sideways with their head turned to face the field so as im in the bullpen chewing on some gum sometimes the flavor runs out quickly so I need a new piece, so I take the old piece and strategically place it where I think the guy next to me is going to step next so it sticks to his shoe and i get the gratification of seeing them in the clubhouse wondering how he has got 5 pieces of gum on his cleats, it’s quite entertaining to watch until the favor is returned the next day, but its all in good fun and it kind of keeps the bullpen loose and on their toes. The Public Address announcer calls your name as you approach the plate for an at bat – what song would currently be your walk up music? It’s great to hear the behind the scenes (games) story from our rising stars!